travel borneo - Friends of Borneo. Keeping it wild! Come experience Borneo through our incredible homestay experience. Live like a local and experience Borneo through their eyes. We are promoting tourism in two less travelled areas. 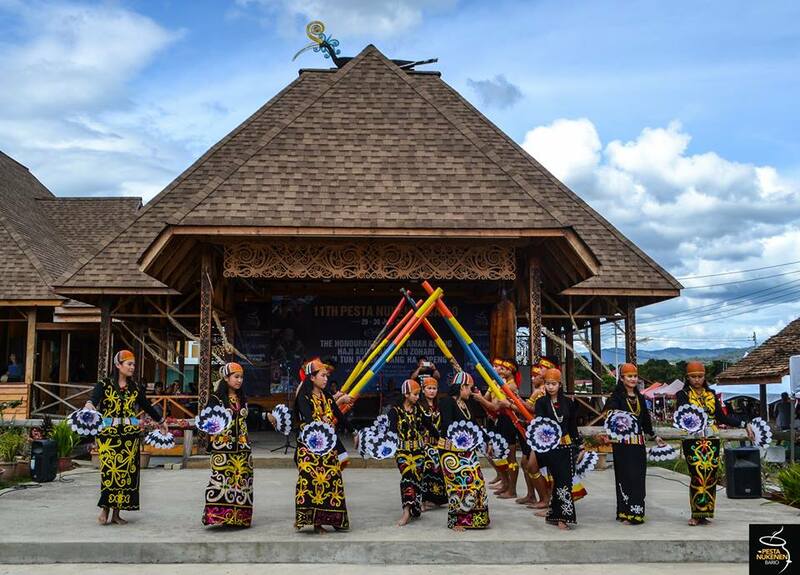 Palangkaraya city in Central Kalimantan with its rich Dayak tradtions and Sarawak state. one of the least travelled regions in Borneo but one which is getting a lot of attention for its rich traditions and natural wonders. 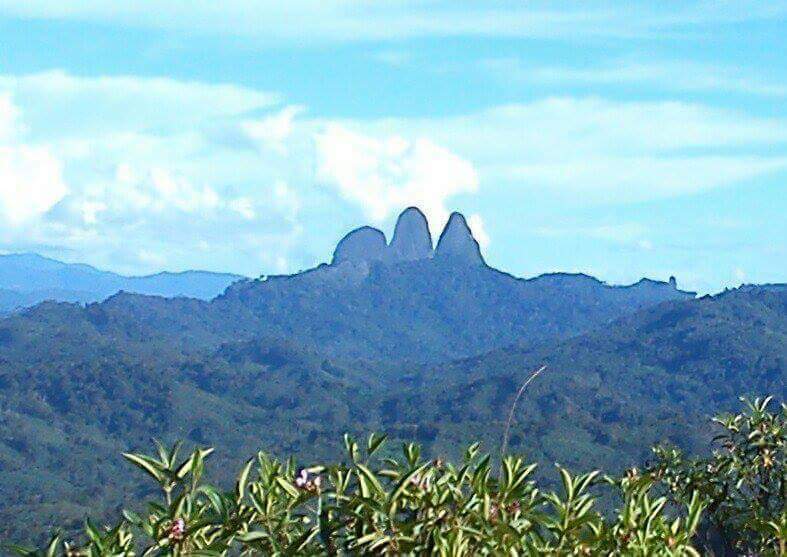 All experiences are custom tailored as some of our destinations are in remote areas with limited access. Come live like a local and experience the different tribal cultures and incredible nature in Borneo! 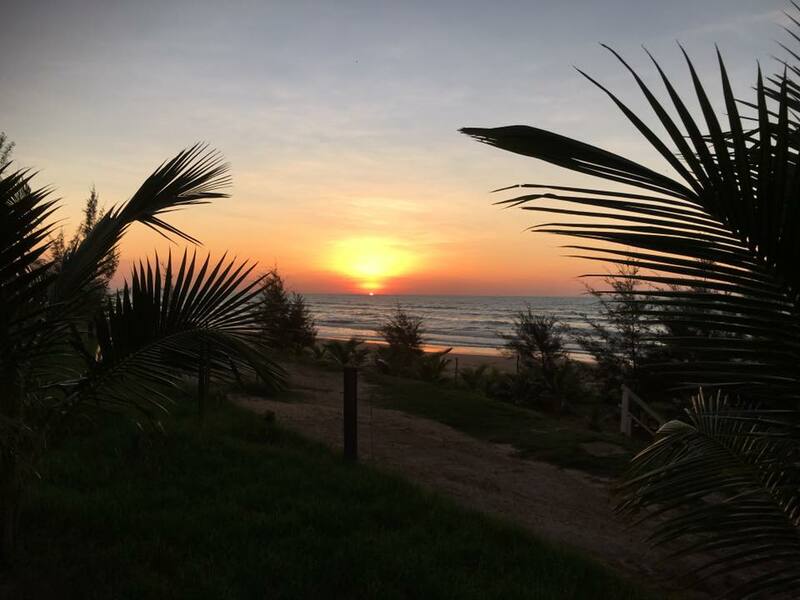 What can we say about Miri city in Sarawak that would make it stand out from other Borneo destinations? How about the city itself is front by ocean from one end to the other? Come stay at Tim's Seaside Hideaway in your own chalet and enjoy the private beach! Located in the highlands of Sarawak, Long Banga village is in the area of the proposed 200,000 hectare Penan Peace Park or Taman Damai Baram as its known now. Kuching is the capital of Sarawak. The city offers much to see and taste including Sarawak laksa( spicy noodle soup) made famous by Anthony Bourdain. 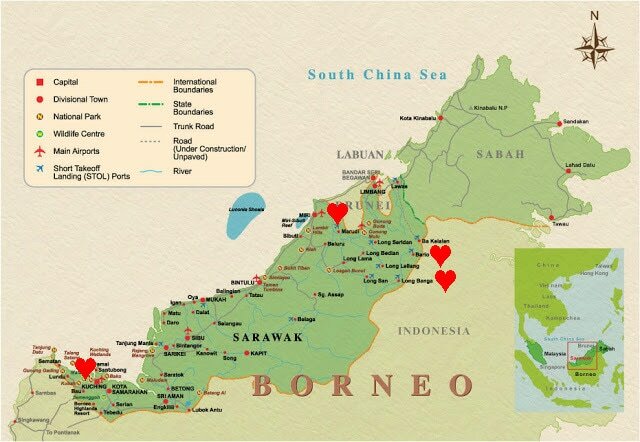 Where is everything in Sarawak? Click on the map above to enlarge it. Our homestays located in Kuching, Miri, Bario and Long Banga are highlighted with a "heart"
If you need help planning a totally awesome time in Borneo, please click here! 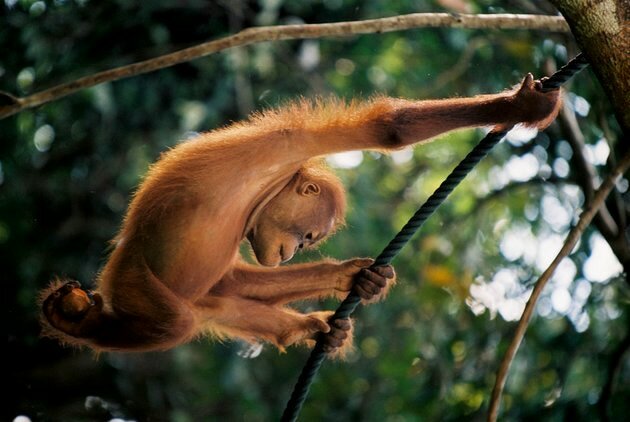 We'll be more than happy to help you book all flights and plan for an incredible stay with our friends in Borneo! Favorite this page on your web browser as we bring you travel coupons and giveaways in 2017!